Natural Swimming Pools By Ontario’s Eco-Pools Inc.
With the growing awareness of natural healthy living, people have become concerned by the chemicals typically used in recreational pools. Fortunately companies like Ontario based Eco-Pools Inc. have developed natural swimming pools that not only function recreationally, but are aesthetically beautiful as well. Image courtesy of Eco-Pools Inc. Using absolutely no chemicals, these natural pools mimic the natural water purifying process called Nitrification. Essentially, water is circulated within a planted habitat which creates 'good bacteria' that absorb impurities. This system results in purified clean water (in fact it's drinkable) which is then pumped back into the swimming area. These natural pools freeze during the winter season which creates a skating surface! Unlike conventional pools which need to be drained seasonally, here your family can enjoy this water feature all year long! Natural pools also require less upkeep and maintenance compared to chemical pools. The costs are limited to powering the quiet pump motors, and the occasional plant pruning. Otherwise, a natural swimming pool operates as an independent eco-system. Natural pools can be customized to suit your landscape and preferences. The Eco-Pools Inc. designers work directly with you to execute a natural swimming pool that fits you and your property. Are you ready to create your very own natural oasis? Check out Eco-Pools Inc, and then call me when it's ready! I'll be there in a flash, with swimsuit and towel in hand! Want to read more about natural pools? 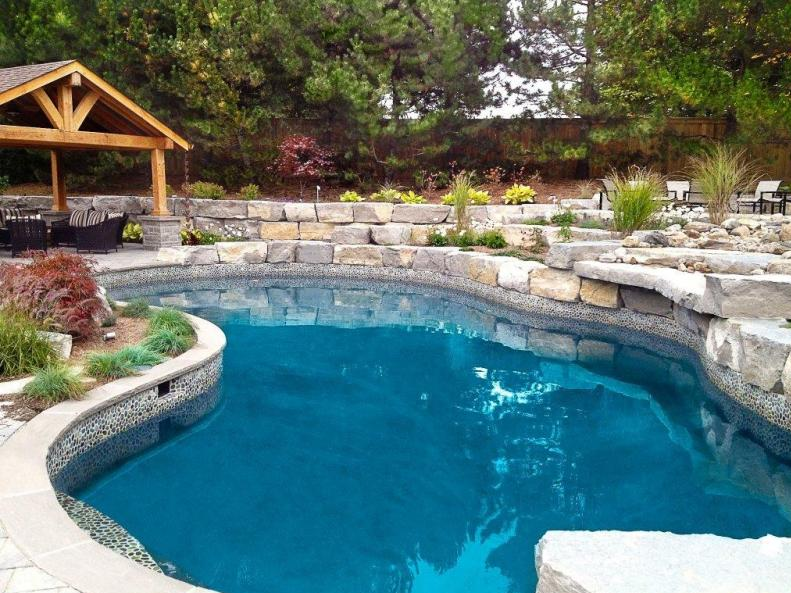 Here's another post in Houseporn.ca called A Natural Swimming Pool By Genus-Loci.